I would like to start by congratulating myself, the other Huddersfield Horizoners (Horizoners? New word), primary teachers, secondary teachers, school staff and pupils everywhere for reaching this checkpoint. We have SURVIVED September. A month which is exciting, chaotic, overwhelming, confusing and exhilarating all at once – we’ve done it. Hats off. Taking the step into my second month of training to be a teacher, I feel this is a good place to pause and reflect. The first word that springs to mind when I stop to consider my experience so far is lucky. I had hoped that amongst the chaos and general perplexity, I would at least enjoy the first few weeks of my training and would feel I had learned and grown somewhat. The reality is that my experience has been far above and beyond that. I could not have hoped for a more supportive network of fantastic people to help kick-start me on this incredible journey. The school I have been placed in is somewhere that I felt welcome from the moment I arrived, and am starting to genuinely love more with every day. My mentors are all reliable, inspiring and knowledgeable – and continue to reassure me that, no, the thousands of questions I ask every day are not ridiculous. Not all of them, anyway. This praise must be extended to the English department in general, who are all fiercely supportive of my training and development; are all the most welcoming and hilarious people I have ever met; and who reliably bring some kind of chocolatey baked good into the office on a Monday morning. 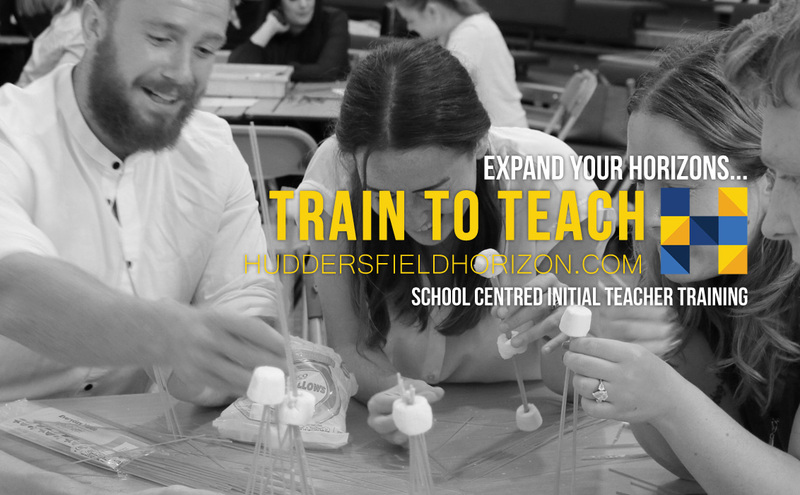 The hats off/pat on the back/teary-eyed thank you of the highest order, however, must go to the incredible head of the Huddersfield Horizon SCITT, Emily. I have yet to come across anybody who shows as much passion, and as much commitment to that passion, as her. I think I speak for all of the trainees when I say I feel in very good hands whilst embarking on this incredibly special, life-changing journey. So, with this fantastic network of people ever-present and ever-encouraging, it is unsurprising that September 2017 has been one of the most exceptional months of my life. There have been many firsts – from the first time a voice called ‘Miss!’ and I realised that, yes, that is actually ME, yikes – to the first time I delivered a lesson and lived to tell the tale – and I cannot wait for the other firsts, seconds and hundredth times which are yet to come. I have seized the opportunity to train for the career I have always wanted, and this month has shown me that I am doing absolutely the right thing. I LOVE my training journey so far, and despite feeling the need to sleep for about six days and seriously curb my addiction to buying stationery, I can’t wait for the rest of the year.